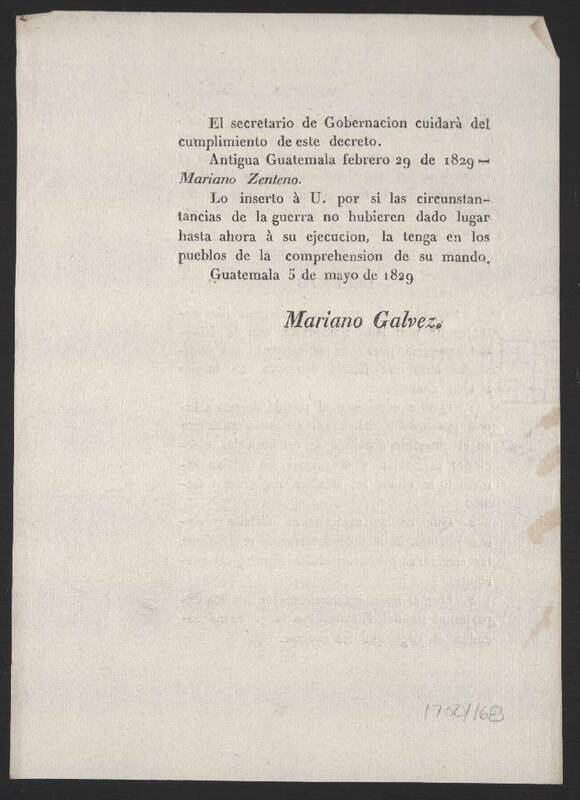 Translation: This document is an English translation of the "Hoja suelta-Decreto, Guatemala, Guatemala, 5 de mayo 1829." Translated by Lorena Gauthereau-Bryson. 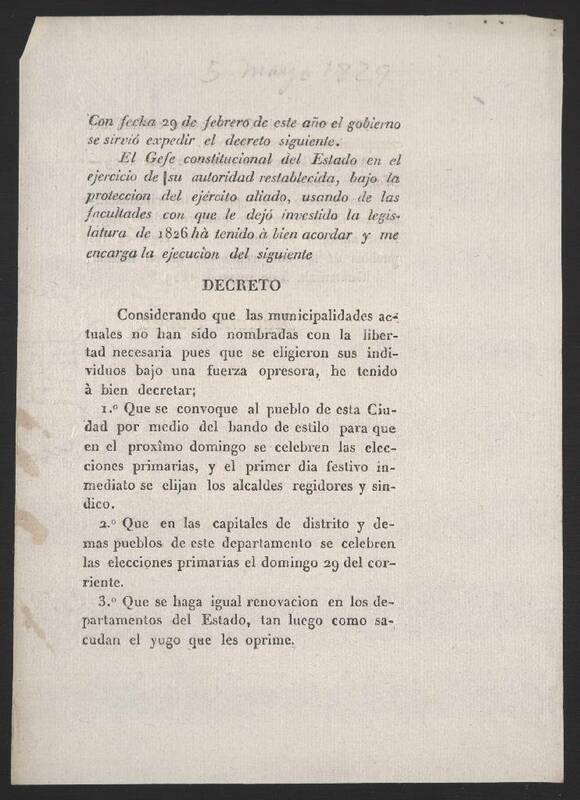 The language of the original document is Spanish. Description: Small octavo. 2 pp. The government has taken upon itself to dispatch the following decree, dated February 29 of the current year. 1st. That the people of this City be summoned by way of direct proclamation so that the primary elections can be held next Sunday and the regional mayors and trustees can be chosen immediately on the next holiday. 2nd. That the primary elections be held on Sunday 29 of the current year in the district capitals and the rest of the towns in this province. 3rd. That the same renewal be done in the State departments , as soon as they rid themselves of the yoke that oppresses them. The secretary of Governance will make sure this decree is carried out. I involve you in case the circumstances of war will not allow, as has been the case up until now, its execution; this way you have it in the villages that compose your rule. Handwritten in pencil by unknown annotator.